The Guild, follows the exploits of a group of online gamers deeply entrenched in WoW-parody MMO. The show’s spot-on depictions of online gamers and hilarious scripts have made the Knights of Good an overnight web sensation. Fans of Dr. Horrible’s Sing Along Blog, will recognize the show’s star and head writer, Felicia Day, along with Effinfunny.com creator, Sandeep Parikh. 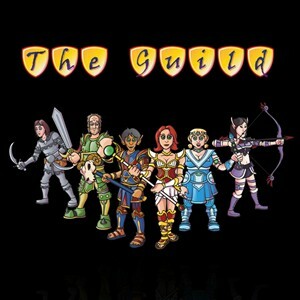 The Guild has just started its fourth season (and can be seen here). If you’re like me, then you have often wondered what would happen if you got drunk, and auto-erotically asphyxiated yourself with a Nintendo controller all while playing the original Legend of Zelda. Well, my hung over, sticky palmed friends wait no more, because Legends of Neil takes on such deep philosophical issues in the funniest, adult-themed Zelda parody show about an alcoholic gas station attendant on the web. The Legends of Neil can be found (for free) in its entirety on Effinfunny.com, or by pressing this link. 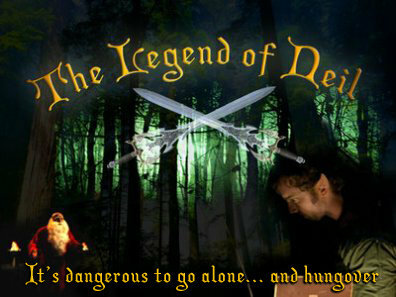 Both The Guild, and Legends of Neil are completely hilarious, completely free and a great way to spend an hour of your boring workday. This entry was posted on August 2, 2010 at 12:00 pm and is filed under D&D 3.5 e Content, D&D 4e Content, Gaming News with tags Boccob, D&D, D20, Dr. Horrible's Sing A Long Blog, Dungeons and Dragons, Felicia Day, Gaming, Gen Con, GURPS, Larp, Legends of Neil, Miniature, Pathfinder, RPG, Savage Worlds, Shadowrun, The Guild, Useful Websites, Wizards of the Coast, World of Darkness. You can follow any responses to this entry through the RSS 2.0 feed. You can leave a response, or trackback from your own site. I love the Guild and my wife actually like it as well. In fact it may be one of the reasons she gave playing 4E a try. The GAME ON video was awesome. The is guild is amazing. Season 4 was worth the wait. Also, if you ever played any Zelda games before, give Legends of Neil a try, it is very funny as well. A bit more adult than The Guild though fyi.